This is the first Design-build project within the LACCD system. AVA was responsible for management of the contractor, ARB Inc. This Design-build contract is estimated at a construction cost of $17M. 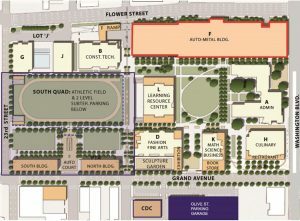 The parking structure is a part of the $300M renovation and modernization program for the LATTC Community College. The modernization and renovation program is being implemented to provide additional classroom space and parking facility.